I am a self-published author of three books, Making Headlines, How I Learnt to Stop Missing England and Love the Herring or A Decade in Sweden, and Let Go. I am also one of the writers in the Keyhole Stories project, which has launched two anthologies Keyhole Stories and Dead Ends. I have also released Think Inside the Box, a collection of short stories written for creative writing class assignments. My short story Untouchable was published in Two Thirds North 2017 and my poem Typewriter was published in Aesthetica Magazine’s Creative Writing Annual 2018. There are many good websites that offer advice to authors and I do not want to repeat information or claim that my advice is any better than what is currently out there. What I intend to do is to relay my writing processes, describe in detail what it has taken me to write my stories, and some advice on how to get your work out there. I am not claiming to be a best-selling author (I wish!) and I am not claiming to be better or know more than anyone else. My blogs will simply reflect my experiences, and if this information helps other authors out there then that’s great. If it doesn’t help then I can only apologise and suggest you find other methods that work for you. 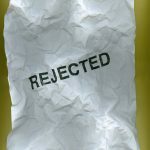 How do you deal with being rejected by agents or publishers? 13 September 2018 – How do you deal with being rejected by agents or publishers? by an agent or publisher. 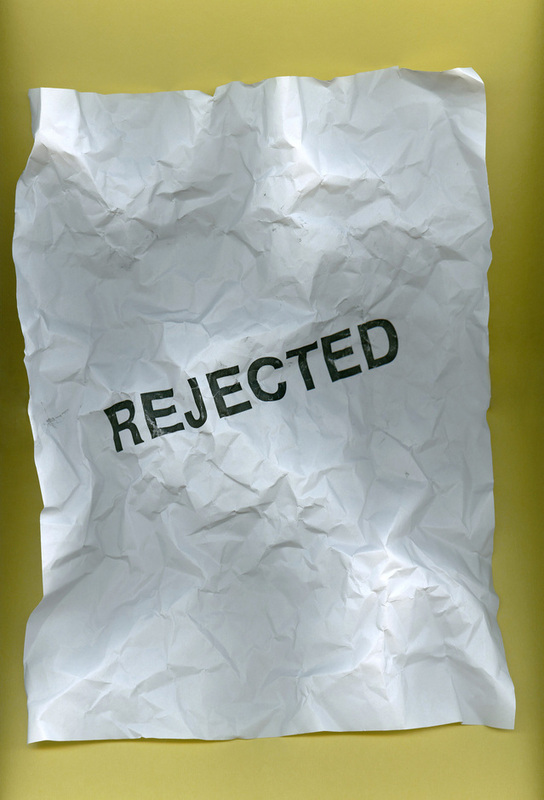 There are varying degrees of rejection and I almost every piece I have written has been rejected in some way or another. I submittedLet Goto as many agents and publishers as I could, and kept track of each response in a spreadsheet (which sounds nerdy but I really recommend it, especially if you are submitted different stories or poetry to agents at the same time). The first category is the no answerand I usually declare a submission a no answer after six months. These are perhaps easier to deal with because you are left in limbo. Let Gogot a fair share of these non-responses. The second category is the straight no without comment. Let Gogot a fair share of this response and it’s just about moving onto the next submission when this happens. The third category is we like this but… Let Gogot some of these answers including “we’re a small publisher and can’t take this on”, “we took on a book on the same theme and it didn’t sell so no thanks” and “this is better than most of the stuff we receive here but I’m afraid we can’t take it on”. You can only be encouraged when you get these replies because it lets you know they have read your work. However, I got one agent who replied: “We didn’t like Let Go. We didn’t like the style of it and couldn’t connect with the main protagonist”. They went on to say more negative things about it, which also lets you know that they had read my work. How did I deal with this type of rejection? Well, I believed Let Gowas, and still is, one of my best works to date, and this attitude can really get you through a tough rejection. If someone doesn’t like what you have written then they can find something else that they do like. So long as you believe what you have written is good, then that’s all that counts at the end of the day. Sometimes it is hard to pick out the successful submissions from the plethora of rejections. When my poem Typewriter got accepted by Aesthetica Magazine, I had got so used to dumping rejections in the recycle bin that I missed the success email until the penny dropped. I had seen word successful hadn’t I? So I dug out the email to make sure, and was beside myself. So my advice is just to keep plugging away and believe what you are writing is good. If you doubt your own work then go back to it and improve it before you are sure you want to submit it.